Deputy Head on educational work – PhD, associate professor Chuvakov O.A. Deputy Head on academic work – PhD, associate professor Gonchar T.A. The Department has provided the teaching of all courses of Criminal Law circle. It was founded and acquired its name in the 60-s of the last century at Law Faculty of the University. Then it had functioned at Law Institute of the University till the foundation of the Faculty of Economics and Law in 1998. Since that time the Department has been a part of the Faculty of Economics and Law of the University. Currently the Department has offered teaching courses for the following educational programs: Bachelor of Law, Specialist, and Master of Law. From the moment of its foundation the Department has constantly conducted productive research work, including joint research with other educational and research institutions of Ukraine and foreign countries. Currently there has been under development the research area № 125100-20 “ Scientific Base for Investigation, Qualification and Prevention of Crimes ( the register number 0106U008401). Besides the Department has worked on issues in the fields of: history of criminal law of Ukraine; juvenile crime; economic crimes; organized crimes; international crimes; crimes in the field of medicine; international and foreign criminal law; crimes committed by military servants, etc. As a result of their research professors and teachers of the Department publish individual and collective monographs, textbooks, commentaries for legislation, courses of lectures, manuals, etc. 3) Economic Crimes: Domestic and International Aspects. Foreword by Prof.Jess Maghan (University of Illinois, Chicago, the USA). Odessa, 2000; 4) Economic Crimes in Ukraine. The Course of Lectures. Foreword by Prof.Martin Fincke (University of Passay, Germany). Odessa, 1997;5) International Law of the 21 Century. Monograph. Edited by V.G.Butkevich. Kiev, 2006 (co-author). Associate Prof. V. N. Slepets. 1) Taxes and the Globe’s Market. Monograph. Odessa, 1999; 2)International Taxation. Textbook. Kiev, 2005. Associate Prof. A.N.Mikolenko. Legal Analysis of the Damage Done by a Crime. Odessa, 2005. The teachers of the Department have published research works in Ukrainian and foreign professional law journals. Nine Editions of the “Criminal Law of Ukraine. General and Special Parts”. - A textbook. Responsible editor Prof. I.L.Streltsov. The textbook has been recommended for teaching by the Ministry of Education and Science of Ukraine and won a Prize in the 5-th all Ukrainian competition as best law publication. Gonchar T.A., Streltsov I.L., Chuvakov O.A. Criminal Law of Ukraine. A textbook. For the last years the Department has initiated and organized nine international conferences of students and post-graduates. The conferences’ papers were published before the start of conferences. With the view to encouraging students’ research the Department founded the scientific student society where students, under supervision of the Department’s teachers, prepare papers and discuss issues in the field of criminal law, criminal law procedure, criminology, etc. Five editions of Criminal Code of Ukraine. Scientific and Practical Commentaries. Responsible editor Prof.I.L.Streltsov. 3. Members of the Department are called upon to provide assistance in preparation of the proposals for improvement of the current legislation and working out new legislation; in sharing their expertise on complicated issues of the law application; in giving necessary recommendations to judicial and law enforcement bodies. For the last years under the Department’s supervision there have been prepared and defended 20 PhD theses. Department has maintained relations with universities and research institutions of the USA, Germany, Russia, Hungary, Greece and others. Teachers of the Department participate in various international conferences, are invited by foreign universities for lecturing and publishing research works, doing joint research, etc. High professional level of the teaching staff of the Department has been recognized by international research organizations, including high reputed institutions. Among the Department’s teachers are Fulbright Program (the USA) scholars, DAAD scholars (Germany), the Common European Project scholars (Netherlands), holders of Federal Scholarships for Foreign Scholars (Switzerland), etc. 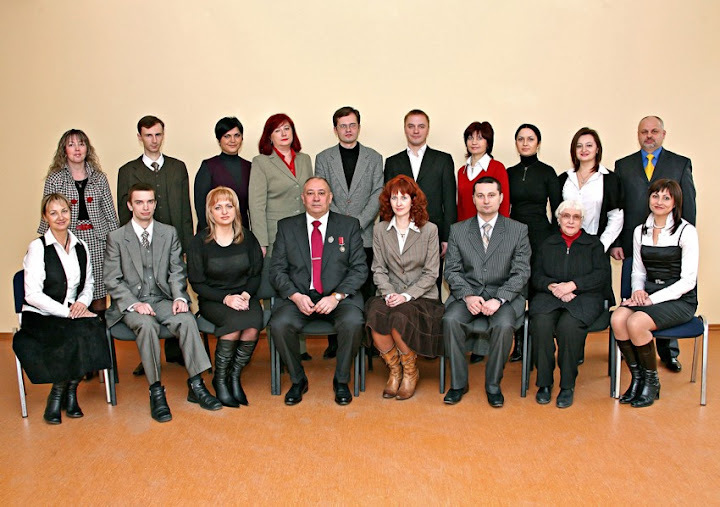 Some of the Department’s teachers were awarded state medals and honored titles; became winners of international ratings for achievements and popularity; repeatedly were encouraged by the Ministry of Education and Science of Ukraine, by Odessa Regional Council and Odessa Regional State Administration, by administration of the University and the Faculty. In 2008 Department was rewarded by the International Fund‘s “World. Europe. Ukraine” gold medal “For the High Quality” for the significant contribution for development of science and education of Ukraine.